A toolkit to bring digital learning to afterschool programs – All Markup News. Home » Google » A toolkit to bring digital learning to afterschool programs – All Markup News. We interviewed over 100 afterschool leaders, and heard that though they want to integrate technology into existing afterschool programs, lack of-of Wi-Fi and devices prevent students from accessing technology and digital learning opportunities to complete assignments, thereby perpetuating the digital divide. Afterschool professionals think it’s important to help students produce technology—rather than just consuming it—but there’s a lack of resources and training to help encourage this innovative spirit in their educational environments. In addition to resources and training modules, the toolkit highlights examples of afterschool programs that are already using technology in innovative and engaging ways—and that can serve as models for programs starting to integrate technology and digital learning. For example, the Educational Video Center in New York City teaches students industry-standard digital media skills to develop interactive websites about a social issue of relevance to them. 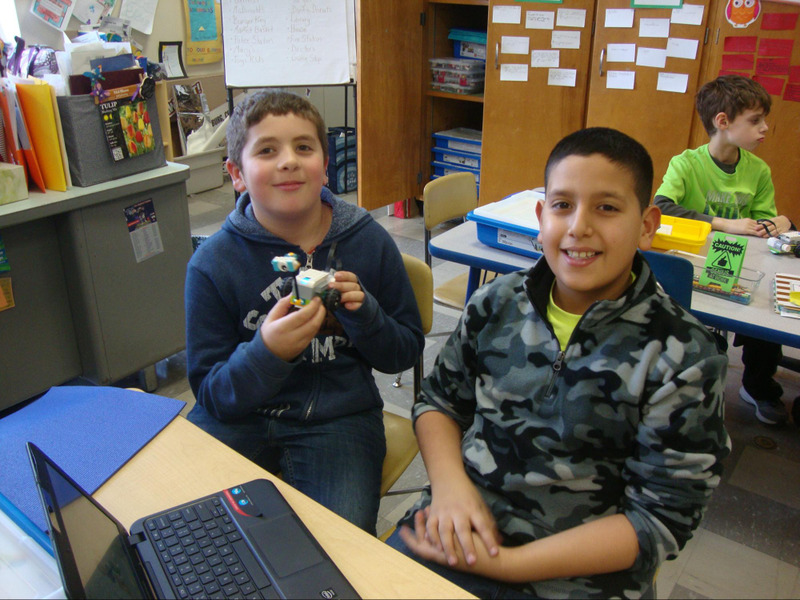 The afterschool program at Crocker Elementary School, in Fitchburg, MA, integrates coding, robotics, digital photography, LEGO WeDo, and other technology and digital learning opportunities into their existing program options. These LA’s BEST elementary students are tinkering with code to get their robot to successfully complete its mission.